Posted in: Pets. Tagged: Cats and Dogs, kittens, microchipping, puppy shots, vaccine clinic. 2200 Peabody Rd in Vacaville next door to the prison. 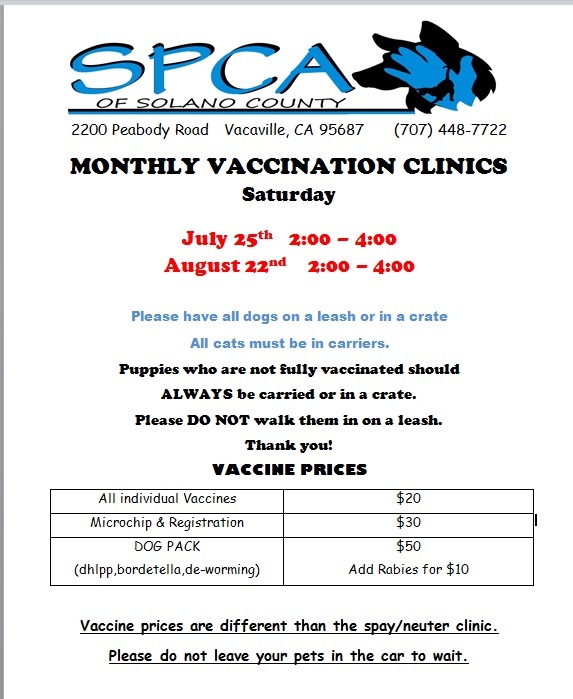 Please note that vaccine prices from our spay/neuter clinic are different than the vaccine clinic.